We have discussed financing via Convertible Debts and Equity Financing. There is a third element that is equally important and ought to be in the arsenal for financing the working capital requirements for the company. Here are some common Term Sheet lexicons that you have to be aware of for opening up a credit facility. Foreign AR. Some banks would specifically exclude foreign AR. Banks might impose a concentration limit. For example, any account that represents more than 30% of the AR that is outstanding may be excluded from the mix. Alternatively, credit may be extended up to the cap of 30% and no more. Cross Aging Limit of 35%, defined as those accounts where 35% or more of an accounts receivable past due (greater than 90 days). In such instances, the entire account is ineligible. Pre-bills are not eligible. Services have to be rendered or goods shipped. That constitutes a true invoice. 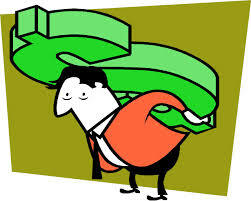 Some instances, you may be precluded from including receivables from government. Non-Formula based LOC: Credit is extended not on AR but based on what you negotiate with the Bank. The Bank will generally provide a non-formula based LOC based on historical cash flows and EBITDA and a board-approved budget. In some instances, if you feel that you can capitalize the company via an equity line in the near future, the bank would be inclined to raise the LOC. In either of the above 2 cases, the interest rate charged is basically a prime reference rate + some basis points. For example, the bank may spell out that the interest rate is the Prime Referenced Rate + 1.25%. If the Prime rate is 3.25%, then the cost to the company is 4.5%. Note though that if the company is profitable and the average tax rate is 40%, then the real cost to the company is 4.5 %*( 1-40%) = 2.7%. For all facilities, there is Maturity Period. In most instances, it is 24 months. Interest is paid monthly and the principal is due at maturity. Banks will charge a Facility Fee. Depending on the size of the facility, there could be some amount due at close and some amount due at the first year anniversary from the date the facility contract has been executed. Bank will have a first priority UCC-1 security interest on all assets of Borrower like present and future inventory, chattel paper, accounts, contract rights, unencumbered equipment, general intangibles (excluding intellectual property), and the right to proceeds from accounts receivable and inventory from the sale of intellectual property to repay any outstanding Bank debt. Bank may insist on having the right to the IP. That becomes another negotiation point. You can negotiate a negative pledge which effectively means that you will not pledge your IP to any third party. EBIT to Interest Coverage Ratio = EBIT/Interest Payments. Bank may require a 1.5 or 2 coverage. Bank will require the monthly financial statements according to GAAP and the Bank Compliance Certificate. Bank may seek an Audit or an independent review of the Financial Statements within 90-180 days after each fiscal year ends. You will have to provide AR and AP aging monthly and inventory breakdown. In the event that there is a reforecast of the Budget or Operating Plan and it has been approved by the Board, you will have to provide the information to the bank as well. Bank will reserve the right to do a collateral audit for the formula based line of credit financing. You will have to pay the audit fees. In general, you can negotiate and cap these fees and the frequency of such audits. Most of the above relate to a large number of startups that do not carry inventory and acquire inventory from international suppliers. BAs are frequently used in international trade because of advantages for both sides. Exporters often feel safer relying on payment from a reputable bank than a business with which it has little if any history. Once the bank verifies, or “accepts”, a time draft, it becomes a primary obligation of that institution. Here’s one typical example. You decide to purchase 100 widgets from Lee Ku, a Chinese exporter. After completing the trade agreement, you approach your bank for a letter of credit. This letter of credit makes your bank the intermediary responsible for completing the transaction. Once Lee Ku, your supplier, ships the goods, it sends the appropriate documents – typically through its own financial bank to your bank in the United States. The exporter now has a couple choices. It could keep the acceptance until maturity, or it could sell it to a third party, perhaps to your bank responsible for making the payment. In this case, Lee Ku receives an amount less than the face value of the draft, but it doesn’t have to wait on the funds. Bank makes some fees and the Supplier gets their money. When a bank buys back the acceptance at a lower price, it is said to be “discounting” the acceptance. If your bank does this, it essentially has the same choices that your Chinese exporter had. It could hold the draft until it matures, which is akin to extending the importer a loan. More commonly, though, the bank will charge you a fee in advance which is a percentage of the acceptance. Could be anywhere from 2-4% of the value of the acceptance. In theory, you can get anywhere between 90-180 days financing using BA as an instrument to fund your inventory. Debt Financing can be a cheap financing method. However, it carries potential risk. If you are not able to service debt, then the bank can, at the extreme, force you into bankruptcy. Alternatively, they can put you in forbearance and work out a plan to get back their principal amount. They can take over the role of receivership and collect the money on your behalf. These are all draconian triggers that may happen, and hence it is important to maintain a good relationship with your banker. Most importantly, give them any bad news ahead of time. It is really bad when they learn of bad news later. It would limit your ability to negotiate terms with the bank. In general, if you draw down against the LOC, it is always a good idea to pay that down as soon as possible. That ought to be your primary operational strategy. That will minimize interest expense, keep the line open, establish a better rapport with the bank and most importantly – force you to become a more disciplined organization. 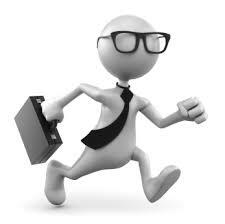 You ought to regard the bank financing as a bridge for your working capital requirements. To the extent you can minimize the bridge by converting your receivables to cash, minimizing operating expenses, and maximizing your margin … you would be in a happier place. Debt financing also gives you the time to build value in the organization rather than relying upon equity line which is a costly form of financing. 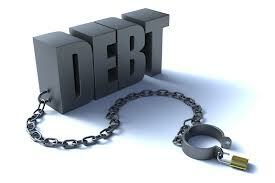 Having said that, there will be times when your investors may push back on your debt financing strategy. In fact, if you have raised equity prior to debt, you may even have to get signoff from the equity investors. Their big concern is that having leverage takes away from the value of the company. That is not necessarily true, because corporate finance theory suggests that intelligent debt financing can, in fact, increase corporate value. However, the investors may see debt as your way out to stall more investment requirements and thus defer their inclination toward owning more of your company at a lower value. Convertible Debt is also called convertible loans or convertible notes. This is a common method of financing for early stage companies. Typically, an investor or a group of investors (investor syndicate) extends a loan to a company that could later convert to an equity instrument. Like any debt, it is an interest bearing instrument. However, the key element in this form of financing is that the investors will get equity at a discount when the Company raises a Series A round. In other cases, it could be a warrant issue. In most instances, there is a cap on the valuation at which the debt will convert. Convertible Debt has an interest. Valuation at which Debt converts is capped. Let us discuss each of these in detail. Convertible Debt is interest bearing. Like any debt, the borrower has a loan on their balance sheet. They are responsible for the principal and the interest. The interest is simple interest rate, and there is a fixed due date (or “maturity date”) for repayment of the amount borrowed. In other words, if there is no Series A funding before the maturity of the convertible debt, there could be some problems for the company. In an extreme case, the note holder can force the company into bankruptcy, unless the startup can renegotiate and extend the terms. The appropriate interest rate for convertible debt could be anywhere between 6% up to 10%. The Applicable Federal Rates (AFRs) can establish the lowest legally allowable interest rates. A) Angel invests $100,000 in the startup company. 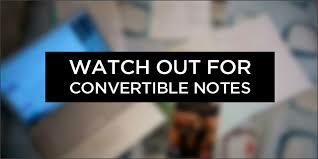 B) Startup issues the convertible note for $100K which has an interest and maturity date. C) The Note has an automatic conversion feature at $1M with a conversion discount equal to 20%. D) Now, let us say that the Startup closes $1M Series A Preferred Stock at $1 per share. E) The Angel thus gets the shares at 80 cents. F) So Angel gets $100,000/$0.80 per share of the Series A Preferred which totals to 125,000 shares. Convertible Notes may have warrants. The warrants are very similar to options. In a typical convertible note, the Warrant will be an option for whatever security is sold in the next round. It is often expressed in terms of “warrant coverage percentage”. A 20% warrant coverage means that you can take the same $1M, multiply by 20%, and the Warrant independently will enable you to get $200K of additional securities in the next round. For example, let us say a Series A round is $4M (Company has raised $4M). The warrant coverage kicks in and now the size of the round becomes $5.2M. ($4M New Fund + $1M size of Note + $200K warrant coverage = $5.2M) So there is a dilution impact of $1.2M for the $1M of angel cash that was extended in the form of the Note with the Warrant Coverage. Cap is a term that protects the angel investor and puts a ceiling on the conversion price of debt. This is seen mostly in seed financings. For example, angel invests a $100K in a company at 20% discount and thinks that the pre-money valuation maxes out at $3M. If the angel was correct and the valuation was indeed at $3M (assume $1.00 for preferred share) , then the angel would have 125,000 shares. That would be 125,000 shares/(3M shares + 125,000) = 4%. The investor would own 4% immediately upon Qualified Financing. However, assume that the company is hugely successful and the pre-money valuation is assessed at $10M. 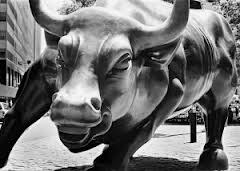 Let us say that the preferred stock is at $1.00. So now you have 10M shares. Angel Investor gets 125,000 shares. Then the Investor is diluted down to 1.23%. (125K shares/ (10M shares + 125K shares)). Hence the higher the valuation in Series A, the investor gets diluted down further. Hence they use Convertible Notes Caps as a protection to their downside dilution risk. The cap sets a limit for how much the Company can raise before the investor’s shares stop getting diluted. It sets an upper limit. So if the investor in the above example sets a cap at $5M, then the discount would increase to offset the additional dilution that occurred. So in this case, the investor actually gets a 50% discount, not a 20% discount. 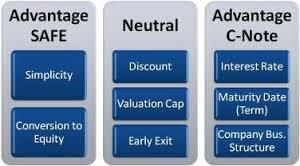 It is important to note that the cap is structured as either or – in other words, the angel investor gets the value of the greater of the two discounts. Paperwork could be less than 10 pages. Legal Expenses are typically less than $5000-$8000. Notes have fewer rights than Equity. Investors in Notes have less say in the direction and execution of company plans. It is a loan and there is a maturity date on the loan. If financing does not occur, the investor can recall the note and force the company into bankruptcy. Incentives are not necessarily aligned. Company wants more valuation in Series A but investor would want less to own larger pool. With a cap, they accomplish that but the Company owners are diluted down depending on cap or size of discount. Size of discount or cap could create problems for the Company seeking Series A. Series A investors might force a renegotiation thus increasing legal and other costs to the Company. A low valuation cap could adversely affect the owners of the Company. Conversion to equity would mean equivalent privileges with respect to rights. 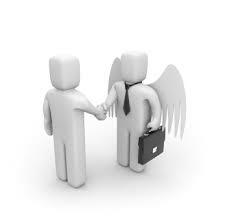 Bear in mind that angel investors are generally not professional VC’s and each of them have very different expertise. Equivalent rights for the different expertise may create problems and issues among all parties involved. Convertible Notes may have senior preferences. In the event of liquidation, the Note Holders are first in line to get their money back. Some angel investors may want subscription rights or super pro-rata rights to the next round of funding. This is to prevent their dilution. So they may want to have the option to participate up to a certain percentage of the next round. In other words, if the round is $5M, the subscription right might specify that the investor can participate up to 30% and that would mean that the investor has a bigger seat on the table. Such clauses may not be favorably looked at by Series A investor and these clauses could hold up financing.